We recently had the opportunity to work with an exciting Juniper IPFIX MX Series export. It provides traffic details that we haven’t seen before from this vendor. The export is available in release 14.1X55 and release 17.1 in Q1 2017, but you also need the MX with subscriber/application awareness (using MS-MPC cards). We were able to report on details such as TCP Round Trip Time, Packet Loss and DNS response time. 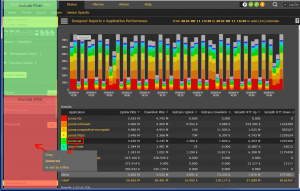 These metrics can come in very handy when troubleshooting slow applications. Speaking of applications, their DPI engine identified apps such as Office365, Twitter, Hotmail, Lync, Yahoo, and Apple iOS updates. It also provided the Internet host being requested, which may not be what the destination IP address resolves to. HTTP Method: a set of commands used in the protocol. The two most popular are GET and POST. Other methods include HEAD, PUT, DELETE, CONNECT, OPTIONS, and TRACE. HTTP Referer: identifies the address of the web page (i.e. the URI or IRI) that linked to the resource being requested. HTTP Response Code: a response by the server to the client indicating how it is treating the request. HTTP URI: a Uniform Resource Identifier is a standard for identifying documents using a short string of numbers, letters, and symbols. It should not be confused with a URL which stands for Uniform Resource Locator. A URL refers to the subset of URIs that, in addition to identifying a resource, provide a means of locating the resource by describing its primary access mechanism (e.g., its network “location”). 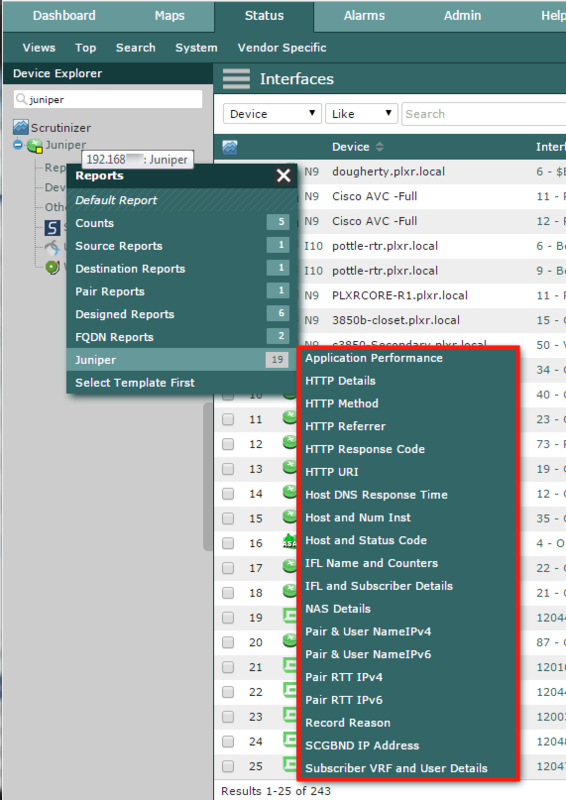 As a result, we created a few dozen new reports to improve our Juniper IPFIX support. Be sure to check them out as I didn’t cover everything they are exporting in this post. There are several other details such as subscriber VRF, name, type, IP Address, DNS latency, etc. Reach out to our team if you would like to report on these rich new details.